We're all for embracing your freckles but when you have spots that don't fade after summer, it's time to take action. Generally, brown spots are indicative of cumulative sun damage and tend to develop first in areas typically exposed to the sun - face, décolletage, your hands. However, our spots are not always caused by the sun. We can hyper-pigment from any kind of stress on the body, especially when that stress is caused by a hormonal fluctuation or imbalance. 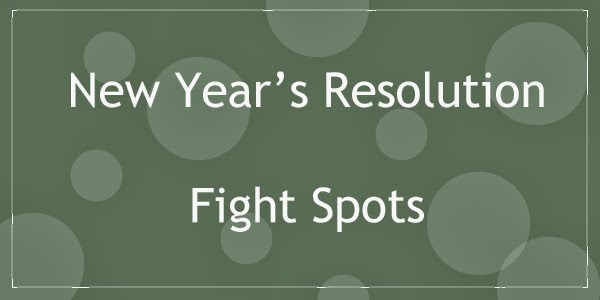 Fortunately, there are ways to combat spots. Many US dermatologists consider this skin lightener the gold standard for fading spots. However, it is much less common outside of the United States because so many countries have banned its use. The reason? Serious risks, including cancer and organ toxicity. Lightening Agents ~ While hydroquinone is often used, based on the risks involved, it is not ideal for skin health. Look for lighteners with natural ingredients that function effectively without toxic ingredients, exfoliating or adding inflammation and only use as needed. To try: Enlighten.